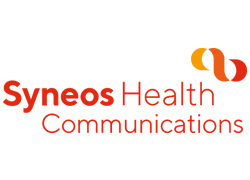 We are a global healthcare communications consultancy that makes people healthier and happier through life-changing education and communications. Our public relations, medical education and advocacy programmes are designed to make a difference by improving outcomes for patients, health professionals and clients using behavioural science. We help people understand health and access the treatments they need and inform doctors so they can prescribe life-changing medicines. 90TEN was named both Mid-Sized and Specialist Consultancy of the Year at the PRWeek Awards 2018. At the 2017 Communiqué Awards, 90TEN scooped the Communications Consultancy of the Year, Medical Education Consultancy of the Year, and Most Innovative Campaign of the Year awards. 90TEN has worked with clinical and behavioural psychologists to develop our own evidence-based change methodology called FEEL-THINK-DO™, that we apply to every communications challenge. FEEL-THINK-DO™ is built upon our understanding of human behaviour; what makes people tick, what stops them from taking action, and how they like to learn. By understanding our audience, we can determine the simple steps to inspire meaningful change. This approach, and a culture that celebrates courage, allows 90TEN to develop programmes that truly push boundaries in their execution. We are part of the Baird’s CMC network of independent consultancies, which provides direct access to communications specialists in over 50 countries and across all continents of the globe. We pride ourselves on hiring and developing the best and brightest talent; cultivating life-changing careers; representing world-famous brands; and solving complex commercial issues with creativity and original thinking. 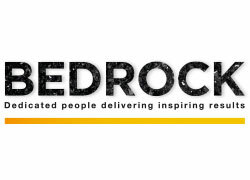 Founded in 2010, Bedrock Healthcare Communications is a privately owned, multiple award winning healthcare communications agency that creates and delivers creative, highly effective, insight driven medical communication and education programmes. Working from its UK based offices, Bedrock’s three core practices (Intelligent Insights, Medical Communications and Multimedia) work seamlessly with national and international healthcare companies to gain a deep understanding of their audiences, build strong mutually rewarding relationships and deliver consistently effective and impactful communication programmes that ultimately improve the understanding of medical conditions and their treatments. 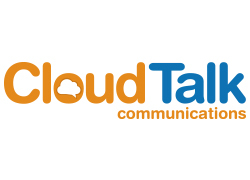 CloudTalk provides the technology for healthcare companies to become more efficient collaborators. We train and adopt teams on the latest Cisco collaboration technologies, to allow for a more connected and agile workforce. Collaboration is a big part of the Digital Workplace Transformation, as flexible working is now promoted by organisations globally. dna Communications is a healthcare communications agency with unique thinking, insight and attitude. dna Communications helps its client partners negotiate the healthcare sector’s ever-changing commercial, regulatory, scientific and communications landscape. dna understands that every patient, disease and therapy is different. As is every message, stakeholder and challenge. dna’s approach involves: different thinking to develop strategically relevant platforms with clear and measurable goals; applying different insight to understand how to change the behaviour of those it engages with and; adopting a different attitude to inject a real sense of passion and collaborative spirit into everything it does. This meaningful development of strategic, engagement, educational and behavioural change programmes ensures dna can help deliver initiatives which are As Different as You. 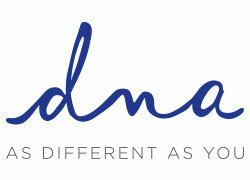 As the healthcare landscape rapidly evolves, Edelman offers our global and local clients industry-leading communications marketing solutions that are rooted in our deep knowledge of the health sector. Edelman clients represent virtually all aspects of the healthcare – pharmaceuticals, life sciences, health policy, tech, government, care providers, advocacy and professional associations – and this diversity of experience ensures a big picture view on health. Whether it’s helping to navigate a rare disease state, make sense of a new policy or clearly articulate a product’s value proposition, our experience and diversity of talent equips us to deliver real business results to our clients. We are constantly exploring new communication marketing approaches in the pursuit of telling our clients’ stories in fresh and innovative ways that resonate with the wide array of stakeholders who collectively determine the success of a product, idea or enterprise. We believe our health sector and communications expertise, combined with our firm’s independence, collectively drive our success in making an impact for Edelman clients. 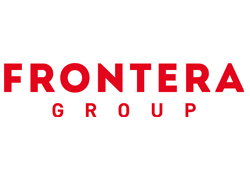 Frontera Group is a diversified services group. We believe that a better understanding of the patient experience (and the factors driving it) are necessary to achieve brand or corporate differentiation. From COPD to leukaemia, rheumatology to rare diseases, our innovative products help put the patient perspective at the heart of your approach. 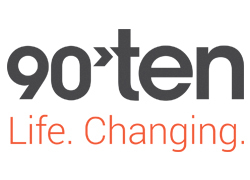 So whether you’re looking for insight and strategy, a communications programme, or the development of mobile health technology, we have a team within the Frontera Group that is ready to embrace your challenge, and become a true partner in patient centricity. 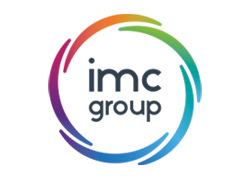 The integrated medhealth communication (imc) group is independently owned and has been committed to behaviour-changing healthcare communication since 2006. In our world, medhealth means having medical, scientific, customer insight, real world evidence and healthcare know how to make a positive difference to clients, healthcare professionals and patients alike. 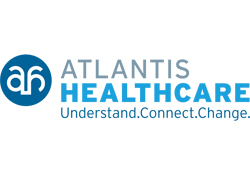 We are committed to seeing real improvements in patient care and to provide our client partners with communication solutions that can enhance the management of patients. Human-centric healthcare communication that creates lasting connections and promotes behavioural change among healthcare professionals and patients. 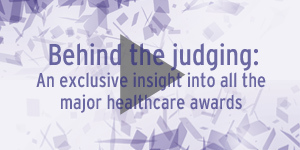 Our premise is that healthcare professionals and patients are consumers, ultimately. We believe that human-centric values connect with the emotions and personal motives of consumers. We apply human-centricity and the underlying cognitive principles that drive consumers’ choices to what we do. This ideology inspires our work. Our passion drives meaningful relationships. It stimulates intellectual curiosity. It pushes us to combine data and heart to go deeper and see beyond the obvious. It drives sophistication and creativity to solve complex problems. JPA's exclusive focus on health means that clients can count on a team with experience and perspective to deliver results. 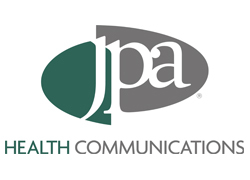 JPA is an independent, full-service communications agency. We are proud of our heritage and the award-winning work we get to do every day. 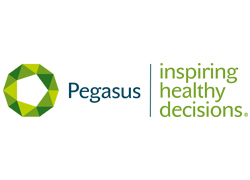 Pegasus inspires healthy decisions through creative, inspirational and integrated communications. Working with ambitious clients, we deliver big ideas and far-reaching campaigns across industries in a health first, sector second approach. Our 140 specialists span earned, owned and paid channels, technologies, and audiences ranging from consumers to healthcare professionals. Inspirational creativity is made possible by evidence-based insights. At Pegasus, we bridge the gap between behaviour change science and the everyday lives of our audiences with our own planning framework, CHANGE. Created with the internationally-recognised Centre for Behaviour Change at UCL, CHANGE brings clarity to quantitative and qualitative data, digital and social analytics – all of which we can produce in-house. CHANGE informs all our strategic thinking, providing a jumping-off point for highly creative, measurable programmes. We bring our campaigns to life through a suite of integrated services including brand development, media & influencer relations, events & exhibitions, digital marketing, content marketing, editorial & medical writing, graphic design, animation, video production, and corporate comms. 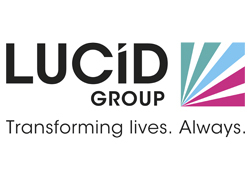 Headquartered in the UK, our work spans global, European and local market strategic programming and activation. As part of Ashfield, we have a global footprint across 21 countries and every conceivable therapy and service area. Being plugged in to this wider network means we’re able to provide end-to-end solutions to healthcare organisations across the world. 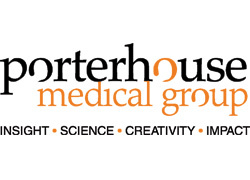 The Porterhouse Medical Group is a scientific and medical communications network with a reputation for excellence. 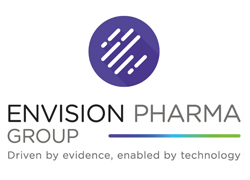 The Group provides medical and scientific communication and research solutions to the global pharmaceutical industry, with a focus on activities that have a positive and measurable impact for healthcare professionals and patients. We have cultivated a unique mix of scientific expertise, creativity and industry knowledge to ensure that our scientific and medical communications stand out from the rest. And of course, our work is underpinned by the research of our agile insights team. 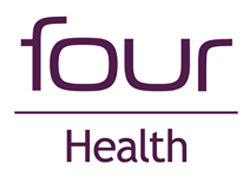 The Porterhouse Medical Group currently comprises Reading-based Porterhouse Medical Ltd, Philadelphia-based Porterhouse Medical US and our UK-based market research and insights team, Porterhouse Insights. Our core values comprise our Porterhouse PATH, focusing on Passion, Ambition, Togetherness and Humour. They are built into our working lives and contribute to our high-quality standards and strong client relationships. Please get in touch if you are looking for an agency that can work with you as a true strategic partner and you would like to find out more about how our smart scientific solutions can help with your next challenge. Working with our global partners to improve people’s lives. No client in the world has ever said, “give me the same as the other guys please.” Thinking differently, seeing another point of view, imagining the alternative are the essential ingredients to invention, innovation, and ideas that create change for better health. 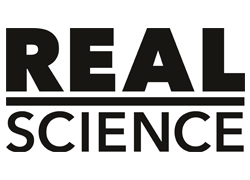 At Real Science we are driven by a true spirit of curiosity and exploration, powered by the rigour and discipline of scientific minds. As scientists, our curiosity and desire for discovery never truly leaves us. We are driven by our belief in the evidence and our faith in the facts. And that with every stone we overturn another world is there for us to explore, another problem to answer, another life to save. Because we know that a curious mind can change the world. We are the agency that focuses on the art of discovery, exploring the big picture but never forgetting the detail. 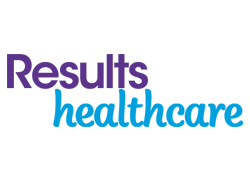 Part of the globally renowned advisory firm, Results International, Results Healthcare was established in 2012, in recognition of client need for a specialist team with dedicated skills in the healthcare, pharmaceutical and biotech sectors. We are specialists in cross-border transactions, giving clients unparalleled access to our global team, international buyers and investors. We are passionate about the dynamic sectors we work in, and about bringing deep industry insight to all the transactions we work on. We develop long-term relationships with our clients, which are based on trust and straight-talking. We are proud of the senior level attention, energy and drive we bring to all the deals we work on, and our relentless determination to deliver the best possible result for our clients. We have 50 people globally, all of whom are sector experts and dedicated to providing flawless client service. Our commitment to our clients is to bring to bear our industry knowledge, international buyer network, creative approach to deal-structuring and relentless attention to detail to deliver outstanding results. Above all our commitment is to always put the best interests of our clients first. 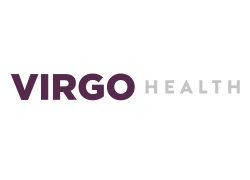 We are a HEALTHCARE COMMUNICATIONS agency specialised in ethical and consumer health and medical technology. 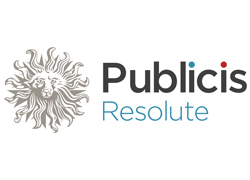 In the evolving world of healthcare communications, we are a HYBRID, integrating PR with the best of other disciplines. Influencing positive behaviours and inspiring change is what drives us, we use insight, thought leadership, education, peer influence and compelling narratives to go beyond awareness and engage with a wide range of audiences on a deeper level. 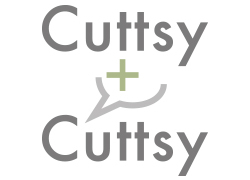 We are outcomes focused and metrics led. Services: strategic communications at all stages of a product lifecycle; KOL, patient and consumer engagement programmes; corporate positioning and communications; multi-channel communications integrating social and traditional media; social engagement for idea generation. Areas of expertise: Prescription medicines, medical technologies, devices and diagnostics; OTC and consumer health products; specialist nutrition; NHS services, private health service providers. We are based in London, UK and are the founding member of the Plexus international network. 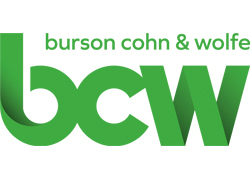 We work in scalable, collaborative teams that partner across disciplines and geographies to deliver integrated communications strategies that accelerate brand performance. Our agency teams have received more than 1,000 awards for work that disrupts markets and drives behaviour change. We create ideas that will work in the real world because they were built there.